Final International University (FIU), is going to accept students on to its master’s program from the spring 2019 academic semester for the first time. Both TRNC and International students can apply for the program. The language of instruction of the Business master's program is going to be in English (with thesis / non- thesis) for 2 years. The Business Postgraduate Program (with thesis/non-thesis) that graduates from Economics and Administrative Sciences Faculty and other faculties can apply, will provide students theoretical training as well as practical training due to the current collaborations of Final International University. 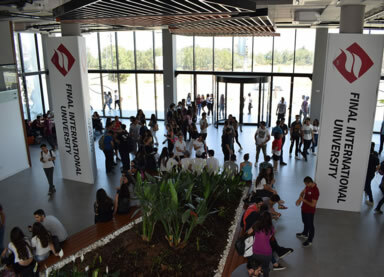 Within the joint program between Maltepe University and Final International University, the students will be granted a diploma by the help of qualified and knowledgeable staff as well as the practical skills for their future administrative roles and duties. The most important advantage of the Master of Business Administration program at Final International University is to enable graduate students to perceive the business world with a wider perspective, and to gain the entrepreneurial, dynamic and analytical thinking skills in their business careers. Applications to the master program can be made through the Final International University Student Affairs Office until 27th February 2019. Applicants are required to hold a bachelor's degree and meet the application requirements. Candidates will also be interviewed for English language proficiency and program requirements. For further details, contact (0392) 650 66 66 (ext. 1226).